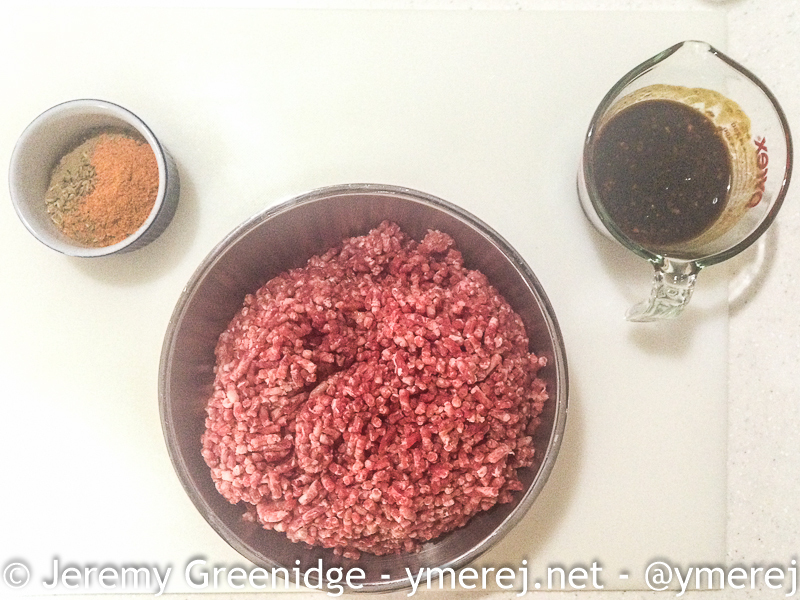 Here is one of the post that friends will consider most surprising, my hamburger recipe has been “top secret” for a long time, that changes today. 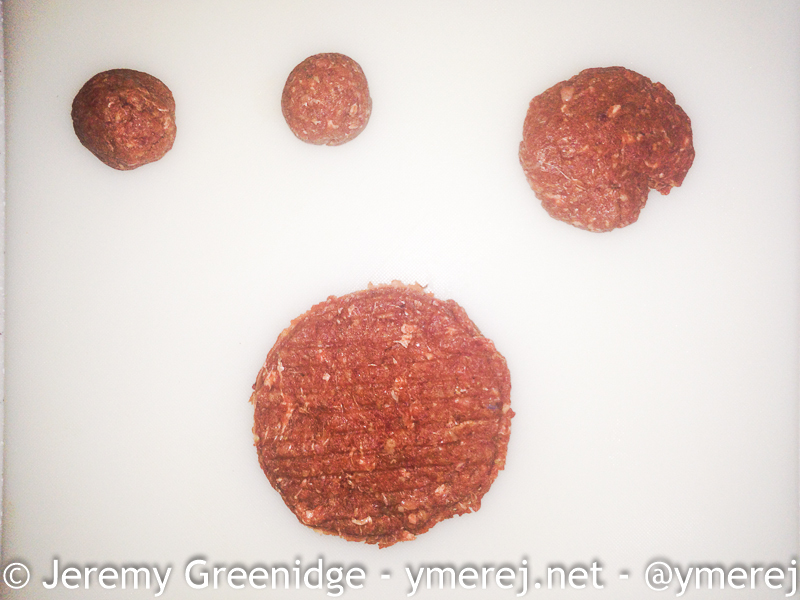 Here is a recipe that I’ve refined over the years where all the necessary seasoning is in the actual burger, you needn’t add ketchup, mayo and the like to have a very tasty burger but you can add cheese if that tickles your fancy. You’ll probably be quite surprised to discover that jam is one of the secret ingredients and will also probably wonder what Cassareep is, it is an Amerindian seasoning used quite extensively in Guyanese cuisine and it lends itself well to the recipe as it along with the jam adds a beautiful level of caramelization to the hamburgers when you cook them. 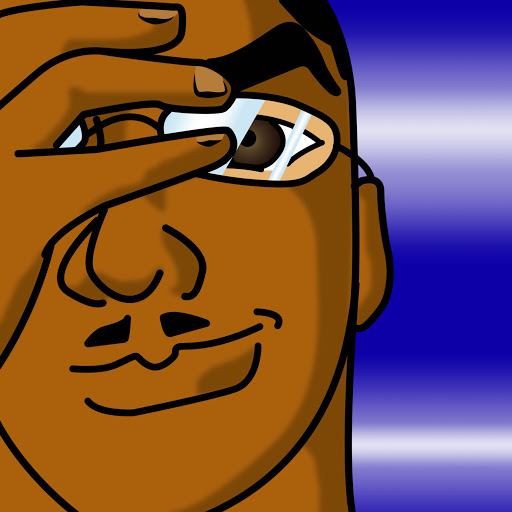 You can find it at most West Indian/Caribbean grocery stores around the world, or here on Amazon. This recipe requires freezing before cooking as no egg or wheat binders of any type are used in the recipe. 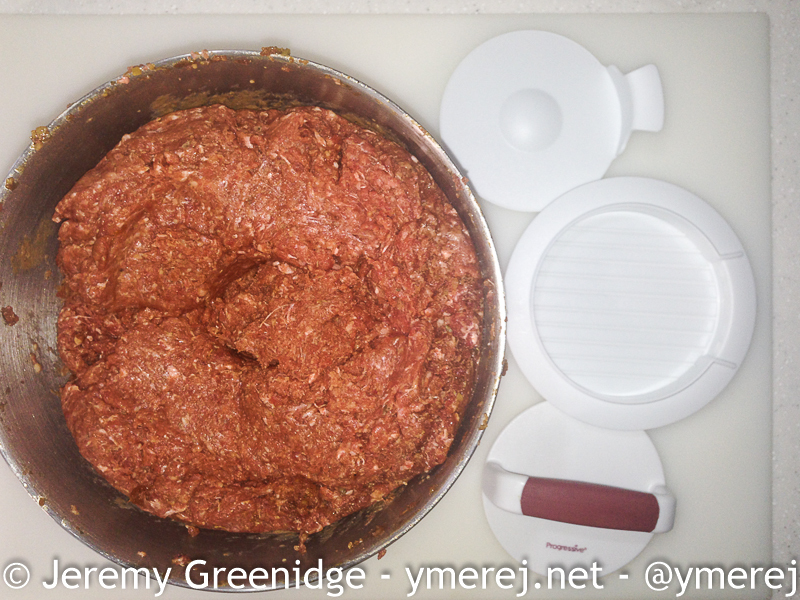 Add wet ingredients and continue to combine, as you do so you will notice the meat starting to form into large balls around the dough hook, this is a sign that your patties are ready to be formed. Place onto wax paper, fold to encompass the patty on a small flat cutting board and place the cutting board with the patties on it in the freezer. After they have frozen you can then place them in a freezer bag for long term storage. Do not defrost patties before cooking, either place them in a frypan or on the grill directly from the freezer, cook them with minimal flipping of patties. You can use the same mix to make sliders, if you need to make a meal right away sliders can be made immediately and not have to be frozen, you can also make meatballs with the same mixture. New Zealand Cheddar Cheese makes a perfect accompaniment for your burgers if you prefer to have a cheeseburger.